Vertical Endeavors-Minneapolis, located on 26th and Nicollet (Eat Street), in Minneapolis, MN, is built in one of the last remaining historic Ice House buildings. This state-of-the-art facility opened it's doors in November, 2011. It is contained within a 10,500 square foot space. With approximately 28,000 square feet of climbing walls built by Nicros, Inc. and 50-60 foot tall climbing walls, VE-Minneapolis is one of the largest and tallest climbing facilities in the country. Vertical Endeavors-Minneapolis is a full-service climbing facility with amenities including two community/party rooms, a pro shop to fulfill all your climbing needs, showers, lockers and year-round climate control. Never climbed before? No problem. 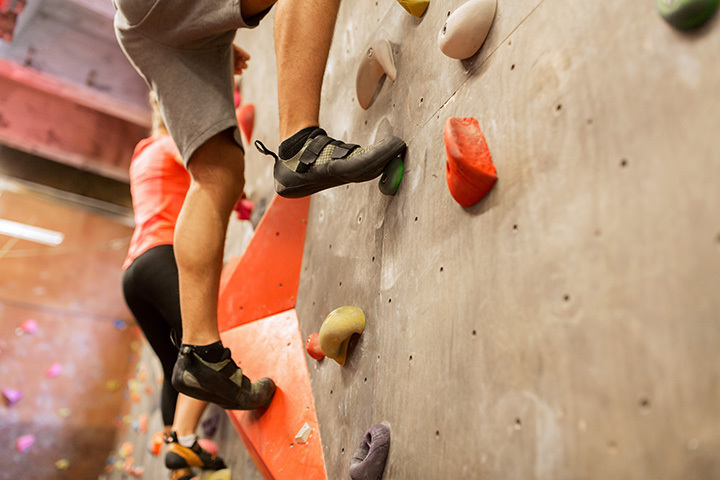 Vertical Endeavors offers something for everyone from first-timers to experienced climbers. Along with areas for lead climbing, bouldering and top-roping there are 24 auto belays so no experience is necessary. VE also offers a full line of indoor and outdoor lessons, youth programs, group events and experiential programs for corporate and non-profit groups.